I love rice. The whiter and starchier the better. (is starchier a word?) Anyway, white rice is a definite on my list of guilty pleasures. 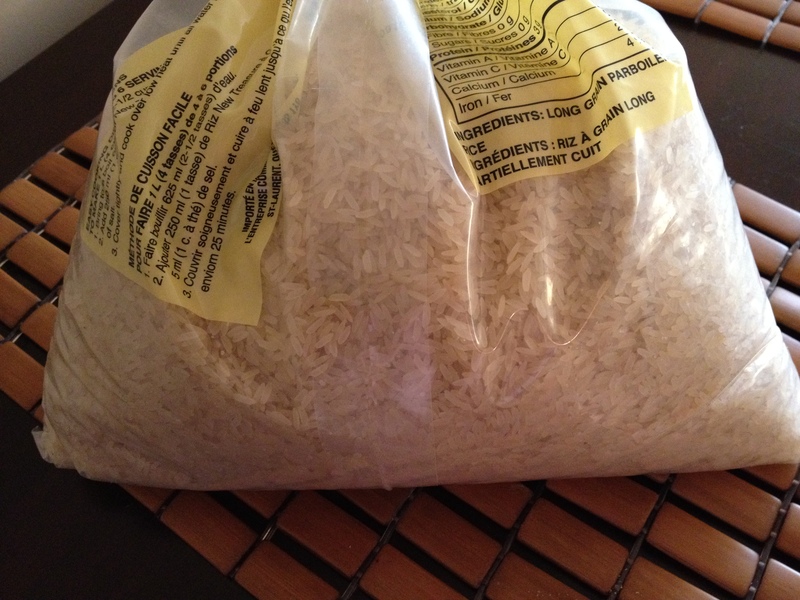 Growing up in a Caribbean home, rice was a staple of our diet. Rice and beans, chicken and rice, vegetable fried rice, rice on top of a bed of rice, it is just what we do! On Sundays it was a double whammy of starch. Mom would make not only rice and beans, but another side would undoubtably be potato salad. This starch over kill would usually be served with stewed chicken and fried plantain. I’ve tried substitutes such as buckwheat and quinoa, but it just doesn’t feel right. I always feel as though I am missing something (or like I’ve lost my best friend.) Go to any West Indian restaurant in this city such as Sunrise or Granny’s Place and I will guarantee you that you will never hear, “you whan quinoa wit yu beans, Mam?”. No siree, rice will be the grain of choice. Rice has such a bad reputation when I read all these fitness and health magazines. Carbs in general seem to be on the naughty list ever since Jennifer Aniston jumped on the Atkins bandwagon. Who wouldn’t want to look like Jennifer Aniston? However, I find that carbs give me energy. I need a piece of whole wheat toast in the morning to see me through to the lunch hour, at times a wee dish of pasta before spin class keeps me filled with the stuff I need to finish a very challenging, hour-long class. So to conclude, will rice be my downfall as I approach my mid-point measure in? I’m a little nervous to tell you the truth, make that very nervous. Do rice guys finish last? Should I be leaning toward Atkins to avoid becoming a Fatkins? We shall soon find out. Last Sunday’s dinner. No potato salad, but there is my rice. 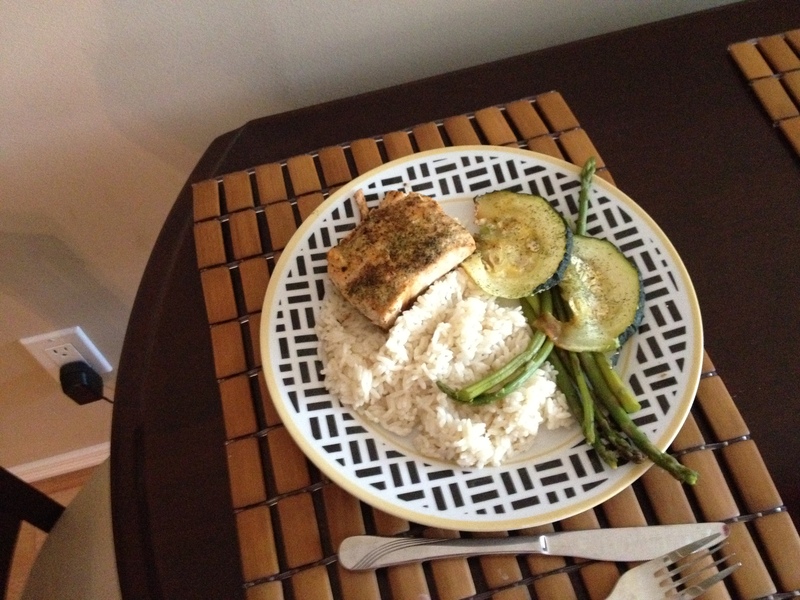 Had with baked salmon, asparagus and garden fresh zucchini. I just don’t know how to quit you…..
I’m not much of a rice fan (except for sushi once a week), but I love my pasta and whole wheat bread! With my diet I can still eat all that, but only 2 – 3 portions a day. I like quinoa. We should eat it more often, but you and your rice.